Bridges to Belmont recently hosted the Empowher Networking Dinner for women in the Univeristy’s program. 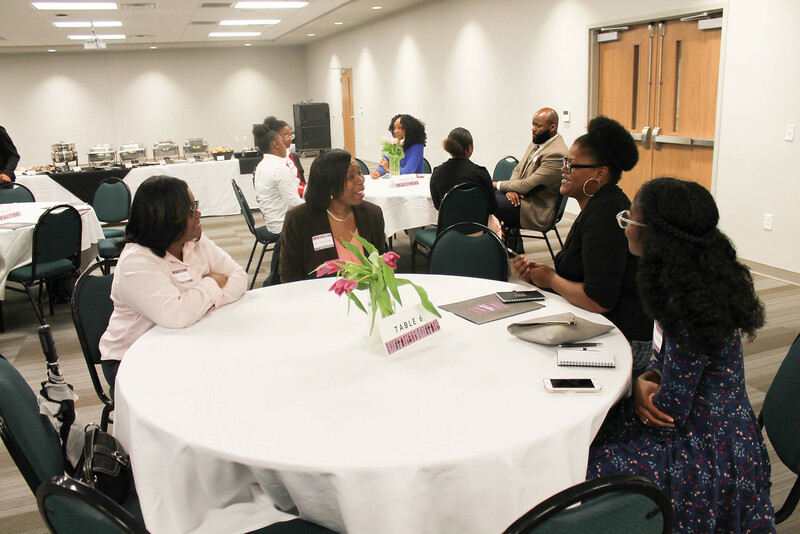 A play on the words “empower” and “her,” the Empowher dinner provided college women the opportunity to network with educators, leaders and professionals from the surrounding area as they plan for their futures. The event’s keynote speaker was Taj George. At the event, participants were introduced to students from both Belmont and other local institutions. Importantly, they were connected to peers and professionals with similar career aspirations. “The conversations that were had at each table and with our keynote speaker were authentic as it relates to trials, tribulations and triumphs that women often encounter, and I think that was essential for the collegiate women to hear,” Clark said.